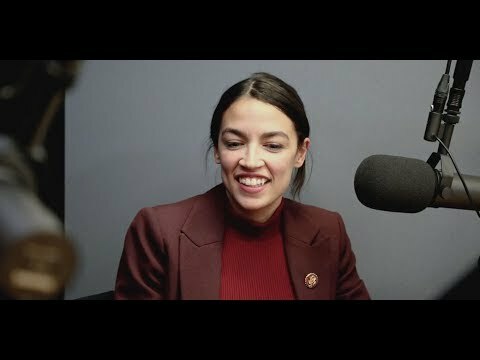 New York Democratic Rep. Alexandria Ocasio-Cortez said she will “never know the trauma” of being a transgender individual during a podcast interview this week with “adversarial journalism” outlet, The Intercept. In a wide-ranging discussion with Intercept reporters Ryan Grim and Briahna Joy Gray, the conversation pivoted to the subject of racism and identity – a topic where Ocasio-Cortez and the “Deconstructed” podcast’s co-hosts found much common ground. It can be “very painful” for white communities to come to grips with the benefits afforded by their skin color, the freshman congresswoman averred. Among conservatives and liberals alike, Ocasio-Cortez continues to be a lightning rod and a central figure in the mainstream culture wars. A perennial target of criticism on Fox News, as well as a frequent instigator of Twitter spats, her (and her social media team’s) success at riling up her ideological opposition has earned her comparisons to President Donald Trump. And while right-leaning detractors peg the 29-year-old politician as a paper tiger with all flash and no substance, she continues to win plaudits from the legions of left-leaning admirers who appreciate her unapologetic progressivism.